Cleaver Ernest Bunton’s service of less than nine months in the Senate was both a creation and a casualty of the Australian political crisis of 1975. Aged seventy-two when he entered the Senate, he told reporters, ‘I look 55 years old, feel 45 and am fit and well’. Youthful vigour, precocious achievement and an ability to rise above sectarian and partisan interests were by then leitmotifs of his carefully furbished life story. He was the second of five children of Ernest Edward Bunton, brickmaker, and his wife, Matilda Caroline, née Luhrs. Born at Albury, NSW, on 5 May 1902, he liked to recall how, as a six-year-old, he sold manure off the back of his billycart. At thirteen, he left Albury District School to work as an office boy in the law firm of V. Flood Nagle in Albury. At seventeen, he started his own business, combining secretarial work with agencies for insurance companies and real estate. Six years later, having commenced studies by correspondence for membership of the Federal Institute of Accountants, he described himself as ‘accountant-secretary’. He built up the accountancy side of the business over the next forty years, before retiring in 1965. Bunton played Australian Rules football at senior level for eighteen years and, with his brothers, George, Walter and Haydn, played in the West Albury premiership team in the Ovens and Murray Football League (OMFL) in 1929 (Haydn was later a champion of the game). Cleaver served first as secretary and then as treasurer of the OMFL from 1930 to 1992, and again in 1993. In 2005 he was the first ‘Legend’ inducted into the OMFL’s Hall of Fame. From 1927 to 1993 he was treasurer/accountant of the Murray Border District Council of the Victorian Country Football League. On 4 January 1930 Bunton, a Methodist, married a thirty-year-old nurse, Eileen Bridget O’Malley, in the Catholic Presbytery at Balldale, near Corowa. Bunton never tired of relating the circumstances of their ‘clandestine wedding’, nor of depicting himself as a man who promoted ‘goodwill, tolerance and understanding’ across the sectarian divide. In 1961 he became a trustee of the Albury Methodist Church. Bunton was twenty-two when, on 21 March 1925, he was elected to the Albury Municipal Council. In 1945 he became Mayor of Albury, holding the position until 1972 and again between 1974 and 1976. A member of the executive committee of the Local Government Association of New South Wales from 1948 to 1972, he served as the association’s vice-president from 1951 to 1953 and was president from 1953 to 1955. He believed his finest achievement as president was to prevent the distribution of electricity in regional areas being taken over by the New South Wales Government. Bunton’s prominence as an Albury identity was accentuated by regular appearances on local radio as sportscaster and newsreader. Bunton might have spent his life as ‘Mr Albury’, were it not for the fact that, on 9 February 1975, Lionel Murphy resigned from the federal Labor Government of Gough Whitlam to take up an appointment to the High Court. The following day, Tom Lewis, Premier of the Liberal–Country Coalition Government in New South Wales, announced that he was giving consideration to ensuring that the casual vacancy caused by Murphy’s departure be filled by a Liberal. This action caused a furore, not only in Labor ranks, but also among many Liberal–Country Party supporters. Party leaders, from Liberal Prime Minister R. G. Menzies on, had upheld the convention that Senate casual vacancies should be filled by people of the same party as the vacating senator. On 12 February the Leader of the Government in the Senate, Ken Wriedt, moved a resolution (passed the following day) stating that the Senate viewed, with ‘the greatest concern reports that the long-established convention may not be followed in relation to the filling of the vacancy now existing in … New South Wales’. Notwithstanding the resolution, as well as considerable public concern, Bunton was appointed to the vacancy at a rowdy joint sitting of the New South Wales Parliament on 27 February, Lewis insisting that his nominee was a ‘political neutral’, an opinion that was widely and vigorously disputed. Neville Wran, then New South Wales Leader of the Opposition, said that to vote for Bunton was ‘to assist in undermining the Australian system of government’. Bunton was sworn in the Senate on 4 March 1975. Despite calling himself an independent and vowing that, as a swinging voter, he had never belonged to a political party, there was little doubt that he had been fairly closely associated with the New South Wales Liberals over some years. As early as 1952, he had presided over a meeting of the Liberal Party’s Rural Committee in Albury. He once referred to a political understanding (regarding his Liberal preselection prospects) between himself and D. G. Padman, the Liberal MLA for Albury. He freely acknowledged his attempts to acquire a knighthood—at first through Liberal Premier Askin, and then Lewis. Once in the Senate, Bunton attacked the Government’s growth centre strategy, which, he said, bypassed local government and vested authority and funding in statutory bodies like the Albury–Wodonga Development Corporation. He supported the Government on some measures, such as health and superannuation, but he dismissed its racial discrimination legislation as superfluous, and saw the proposed Australian Government Insurance Corporation as an unwarranted encroachment into private enterprise. But no matter how he voted or what he said, the manner of his appointment left him open to mistrust. Furthermore it created a precedent, which was followed in September by Queensland Premier Joh Bjelke-Petersen, who appointed another so-called ‘independent’, one A. P. Field, to fill a casual vacancy brought about by the death of Labor’s Senator Milliner. Bunton’s vote in the Senate would become of the utmost importance, especially when, on 1 October, Field was unable to sit in the Senate due to a High Court challenge regarding his eligibility. On 15 October the Leader of the Opposition, Malcolm Fraser, announced that the Liberal–National Country Party Opposition intended to oppose the Labor Government’s appropriation bills. This decision was motivated by highly charged political events, in particular the Government’s overseas loans negotiations involving a Pakistani intermediary. On 15 and 16 October Bunton voted with the Labor Government on the Opposition’s amendments to each of three bills, the Loan Bill and two appropriation bills. These highly political amendments provided that the supply bills ‘be not further proceeded with until the Government agrees to submit itself to the judgment of the people’. The composition of the Senate now stood at twenty-seven Government senators, thirty Opposition senators, the Liberal Movement senator, Steele Hall, and Bunton and Field. With Field absent, and Steele Hall and Bunton voting with the Government, the Opposition won its budget amendments, but only by one vote. As Whitlam refused to call the election so demanded by the Opposition, the Senate was now deadlocked. 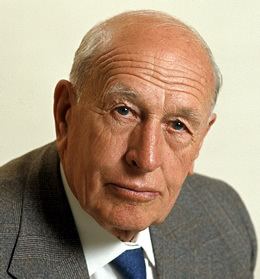 On 11 November the Governor-General, Sir John Kerr, dissolved both houses of the Parliament, and called on Malcolm Fraser to form a caretaker government. The election, which was held on 13 December, marked the end of Bunton’s career in the Senate. Bunton’s opinion of the blocking of the bills was unequivocal: ‘The actions of today do not give stable government … I think Parliament will forever rue today’s decision’. Speculation as to why Bunton supported the budget ranged from the view that he had been ‘got at’ by Whitlam (the two men knew each other, and they had been seen conversing in the corridors) to the even more cynical view that Bunton was hoping to avoid a double dissolution because it would shorten his Senate career by some five years. Few seemed to acknowledge that he may have acted in accordance with his own conscience. Indeed, as early as February 1975, Bruce Juddery of the Canberra Times had quoted Bunton as stating that he was not aware of any circumstance that would justify the denial of supply. The only positive outcome of Lewis’ breach of convention over Bunton’s appointment to the casual vacancy was that, in 1977, there was an amendment to section 15 of the Australian Constitution, which provided that casual vacancies be filled by a member of the same party as that of the previous incumbent. With his Senate career cut short, Bunton returned to Albury, where he resumed mayoral duties for a year, and continued as a director of Viscount Holdings, a public company with interests in hospitality, engineering, quarrying and ready-mix concrete. He had been appointed an OBE in 1954, and, in 1979 was appointed an Officer of the Order of Australia for service to local government. Eileen had died on 19 July 1982. On 3 February 1984 at his home on Monument Hill, Bunton married Kommertje (Corrie) Berkel, a successful Albury businesswoman. There were no children of either union. In 1991 Charles Sturt University awarded him an Honorary Bachelor of Arts. Bunton has been described as courteous and kind, a ‘pleasant and uncomplicated’ man, a teetotaller and non-smoker. He died at the Mercy hospital, Albury, on 20 January 1999, and was buried in Albury Lawn Cemetery after a service at St David’s Uniting Church. Mourners included the Deputy Prime Minister, Tim Fischer. Obituaries portrayed him as a local government man and praised his unstinting, lifelong commitment to sporting clubs and literally dozens of community organisations. In the Senate, he had been, as Wran commented in February 1975, ‘a minor figure in a gross political tragedy’. Cleaver Bunton, A Memorable Life: The Historical Ramblings of Albury’s Long Serving Mayor, [C. Bunton, Albury, 1988], pp. 9, 13–15, 17–19, 23, 29, 53; DT (Syd. ), 24 Feb. 1975, p. 2; Cleaver Ernest Bunton, Transcript of oral history interview with Clarrie Hermes, 1986, POHP, TRC 4900/37, NLA, pp. 1:12–16, 2:7, 2:10; Border Mail (Albury), 22 Jan. 1999, pp. 1–5; The editor is indebted to Rob Meers, Belbridge Hague Solicitors, Albury; Chris Donald, Haydn Bunton: Best and Fairest: The Greatest Legend in the History of Australian Rules Football, Pennon Publishing, Niddrie, Vic., 2003, pp. 8–9; The editor is indebted to Bill Schultz, North East District Board, Albury. Bunton, A Memorable Life, pp. 7, 17–18; The editor is indebted to archivists of the Uniting Church of Australia, Rev. Dr I. Breward, Synod of Victoria and Tasmania, and Daryl Lightfoot, NSW Synod Archives. Border Morning Mail (Albury), 23 Mar. 1925, p. 2; Border Mail (Albury), 22 Jan. 1999, pp. 2–4; The editor is indebted to Howard Jones of the Border Mail, Albury; Bunton, A Memorable Life, pp. 21, 30, 32–4, 48, 57; CT, 27 Feb. 1975, p. 2; Local Government Association of NSW, Report of annual conference, 1948, p. 2; Shire and Municipal Record (Syd. ), 28 Oct. 1951, p. 497, 28 Nov. 1952, p. 482, 28 Nov. 1953, p. 474, 28 Nov. 1954, p. 458, 15 Oct. 1971, p. 586; Bunton, Transcript, pp. 3:20, 4:1–4; CPD, 22 Apr. 1975, pp. 1234–5. Age (Melb. ), 3 Feb. 1999, p. 20; SMH, 11 Feb. 1975, p. 1, 27 Feb. 1975, p. 6; CPD, 12 Feb. 1975, pp. 111–29, 13 Feb. 1975, pp. 146–73; J. R. Odgers, Australian Senate Practice, 5th edn, AGPS, Canberra, 1976, pp. 105–7. NSWPD, 27 Feb. 1975, pp. 3994–4011; SMH, 28 Feb. 1975, pp. 1­–2; DT (Syd. ), 27 Feb. 1975, p. 5; SMH, 27 Feb. 1975, p. 1. SMH, 25 Feb. 1975, p. 3; Ian Hancock, National and Permanent? The Federal Organisation of the Liberal Party of Australia, 1944–1965, MUP, Carlton South, Vic., 2000, p. 141; Bunton, Transcript, pp. 5:17–18; Bunton, A Memorable Life, p. 47. CPD, 22 Apr. 1975, pp. 1231–6, 10 June 1975, pp. 2400–1, 4 June 1975, p. 2245, 22 May, 1975, pp. 1808–10, 21 Aug. 1975, pp. 169–70. Odgers, Australian Senate Practice, 5th edn, pp. 59–60, 62–4, 106–7; Gough Whitlam, The Whitlam Government 1972–1975, Viking, Ringwood, Vic., 1985, p. 732; CPD, 15 Oct. 1975, pp. 1155–61, 16 Oct. 1975, pp. 1220–1, 1240–3; Laurie Oakes, Crash Through or Crash: The Unmaking of a Prime Minister, Drummond, Richmond, Vic., 1976, p. 159; Paul Kelly, The Unmaking of Gough, rev. edn, Allen & Unwin, St Leonards, NSW, 1994, p. 304; CT, 27 Feb. 1975, p. 2. Border Mail (Albury), 22 Jan. 1999, pp. 1–5; Gil Duthie, I Had 50,000 Bosses: Memoirs of a Labor Backbencher 1946–1975, A & R, Sydney, 1984, p. 296; CT, 23 Jan. 1999, p. 3; Border Mail (Albury), 26 Jan. 1999, p. 7; NSWPD, 27 Feb. 1975, p. 4007. This biography was first published in The Biographical Dictionary of the Australian Senate, vol. 3, 1962-1983, University of New South Wales Press Ltd, Sydney, 2010, pp. 450-453.